There are seventy-two cards in the deck, each one representing a Demon from the Goetia. Aside from divination, they can also help you to make a connection with the Demons who might use them to let you know they want to communicate with you. One of the ways they will do this is by influencing the cards that come up during a reading. For example, each morning I shuffle the cards as part of my daily devotions and I ask which Demon might want to talk with me. The same card has come up day after day. Coincidence? Some might say it is, but considering the number of cards in the deck and the frequency that the same one comes up, it is hard to deny that there isn’t an outside influence. If you happen to get a certain card repeatedly, you might want to use another deck to communicate with that particular Demon. You might also want to consider using another method of communication such as a pendulum, meditation or pathworking. 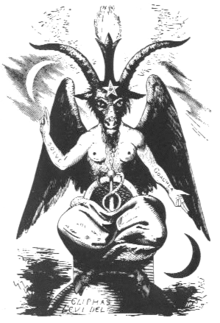 Now if you don’t know much about the Demon, I suggest you do some research first before you start further communication. This is so you know who you are dealing with, and if you choose to prepare the space in which you will call the Demon, it is beneficial to know which kind of incense, candle colour, and offering to use. The artwork might not appeal to everyone and would not be considered ‘demonic.’ Instead, they have a more gothic look to them with a collage of different images consisting primarily of tombstones, mausoleums, trees, and animals. If you want to ask a generalized question, there are words on the cards that you can take as an answer or as advice for the day. If you decide on using the cards, I would be interested in hearing about your experiences with them. I do not feel the need to be 'cautious' of the very beings I call my gods, teachers, and protectors. I was considering purchasing these cards for a while. I saw some good reviews on youtube about them. Then later that day I decided to check out this site just to see what's new (since I haven't been on here in months)), and I saw your article on the oracle cards!! I have no choice but to buy these!! I must have them! Here's an update on these Oracle cards... This is the second Oracle deck that I've purchased. 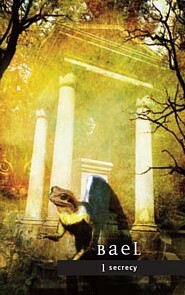 The first one was the Faery Oracle. Beautiful cards, but I felt no connection with them at all. Thus, I never used them. The Fallen Angels deck had me from hello. They are the ones for me. I have never done a tarot reading before this deck. The guidebook is very user friendly, and there are different spreads to choose from to work with. I did the 5 card spread once, but the rest of the time I do the classic Celtic Cross spread. These cards are down to earth, and tell things like they are. Short and to the point. No beating around the bush. So what I like to do is shuffle, shuffle, shuffle again, and once more until the deck "feels right". I use them on my altar, light my candles and incense, and say a praise to Lord Satan/Lucifer and the Demons of the Infernal Realm. 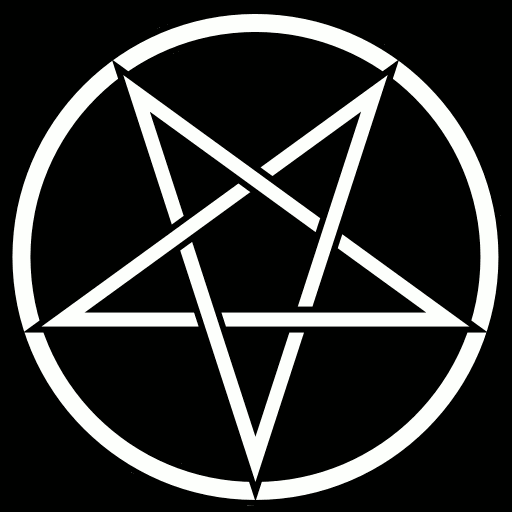 I thank Satan/Lucifer as I try to do on a daily basis, and let them know I will be communicating with the spirits of the Infernal. I always ask Satan to bless my deck in darkness to reveal only the truth. Then I like to run the deck through my insence. Shuffle again and again as I ask the question that I need an answer to over and over until the shufflingshuffling feels right again. Then I lay out my spread and begin the reading... I read the card itself, the the description of the demon, and then relate that message to the question at hand, and how the messages fits the position of the layout (for example... "The Recent Past" "The Most Likely Outcome", etc.) These readings make sense to me. Now I went ahead and purchased the original Rider Waite tarot deck that all occultists should know how to use, and I'm having a VERY tough time getting into them. I want to learn the traditional tarot, but I can't help myself from grabbing the Fallen Angels deck. It's 100 percent for me, and the demons are giving me advice and answering my questions. I couldn't ask for more. I also feel that the more I use this deck, the closer I will become with the Goetic Demons. I also thank Satan and the demons when I am finished. I am so glad that I ordered this deck. I highly recommend this deck to any Luciferian or Satanist. HAIL SATAN!! Thank you for sharing your experiences. It sounds like you have found a deck that resonates with you. If you want to try a more traditional deck but don't like the Rider-Waite, you might want to try the Morgan-Greer as it is very similar but you might find them more appealing and easier to use. Let me know your thoughts.